2017.03.23 News Notice: Temporary closing of Takao 599 museum of the year. 2016.12.16 News TAKAO599MUSEUM will be closed on 9th Mar. 2017.03.23 Notice: Temporary closing of Takao 599 museum of the year. 2016.12.16 TAKAO599MUSEUM will be closed on 9th Mar. 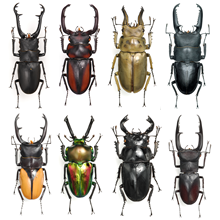 2016.10.14 TAKAO599MUSEUM will be closed on 15th Dec.
2015.09.16 Stag Beetles of the World Swarm to TAKAO 599 MUSEUM During Silver Week!